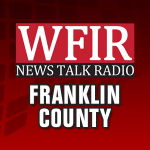 From the Franklin County Sheriff’s Office:On 9/15/18 and 9/17/18, the Franklin County Sherriff’s Office began an investigation in to two break ins at the same residence on Lakemount Dr. in the Moneta community of Franklin County. This residence was unoccupied and had been damaged from a recent fire. Investigators soon developed Zachariah Markham and Brittany Nichols as suspects. Both Nichols and Markham were charged with Breaking and Entering and Grand Larceny. Markham was also charged with Destruction of Property. Nichols and Markham are both currently being held in the Western Virginia regional Jail without bond. On 10/30/18, deputies responded to the same residence on Lakemount Dr. in reference to a suspicious person in the area. Deputies located the subject and were quickly able to determine that the subject did not belong in that area. Deputies and Investigators were able to locate three additional subjects as well as recover stolen items related to the break in. Christopher Palmero, Amanda Maggio, Joseph Stewart and Brett Halsey were all charged with Burglary and Grand Larceny. The investigation also led to search warrants in Roanoke and Vinton as well as the additional arrest of Keith Arrington for Burglary and Grand Larceny. The owners of the estate have been advised to make arrangements to more properly secure the residence. This investigation is ongoing and additional charges may be pending. Halsey is being held in the Western Virginia Regional Jail without bond. Both Maggio and Palmero are being held in the WVRJ on a 5,000.00 bond. Stewart bonded out on a 10,000.00 bond and Arrington bonded out on a 1,500.00 bond.